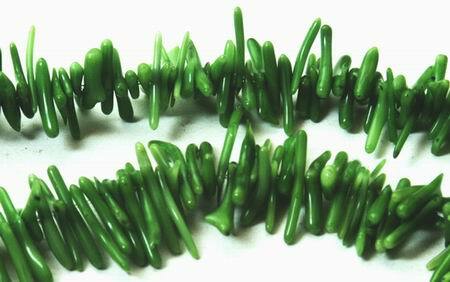 Price is per 16-inch string of these genuine Chinese coral beads - size of largest root measures about 12mm x 2mm. All drilled ready to thread. Real corl, but dyed green (colour does not come off! ).